Marsha Lynn Clinard, age 62 of Springfield, passed away on September 15, 2018 at her home. On March 7, 1956, Marsha Lynn Henderson was born to the late L J “Dugan” and Margaret Louise Henderson in Springfield. She was in the graduating class of 1974 at Springfield High School. In 1975, Marsha would marry the love of her life Donnie Clinard on January 28th and soon after started her career at Vanderbilt Medical Center working in the Department of Medicine. Their family would grow from two to four in the next ten years. Marsha and Donnie welcomed their son, Randy on Christmas Eve of 1980 and their daughter, Lindsey on May 7, 1984. Through the years this family of four would make numerous tradition and memories. Marsha and the kids would enjoy vacations to Panama City Beach in the summer and Gatlinburg in the fall. Holidays were a time everyone looked forward to. Thanksgiving was a time for fellowship and enjoying a large meal with family and Christmas was a celebration like no other, since they celebrated two birthdays it was always a spectacular event. When Lindsey got married in 2015, Marsha welcomed Daniel into the family like he had been there forever. They soon blessed Marsha and Donnie with her first grandson, Nicholas, at the end of 2015 and from that day on Nicholas had them both wrapped firmly around his little finger. 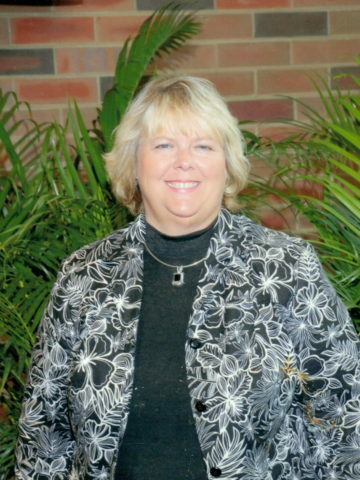 Mrs. Clinard was described as a caring, sympathetic and honest person. She was a hard worker and a devoted Vanderbilt employee up until her retirement in December of 2017 as a physician billing manager. In her free time, Mrs. Clinard enjoyed working in her yard and tending to all the different flowers that would brighten her day. She loved to sing on Sunday mornings in the church choir and to play the piano. She looked forward to spending time with her “girlfriends,” including the trip to New York City two years ago. Mrs. Clinard will forever be remembered as a loving wife, mother, grandmother and loyal friend. In addition to her parents, Mrs. Clinard is preceded in death by her son, Randall “Randy” Dugan Clinard. She is survived by her husband, Donnie Clinard of 43 years; daughter, Lindsey (Daniel) Givens; grandson, Nicholas Givens; sister Carolyn Cooper; niece, Melissa Cooper; nephew, Donnie Cooper and great nephews, Cody Wright and Cole Wright. A Life Celebration will be held on Thursday, September 20, 2018 at 2:00pm with Bro. Steve Freeman officiation. Burial will follow at Springfield Memorial Gardens with Cole Wright, Daniel Givens, David Paul Benton, Zak Taylor, Matt Cook and William Givens serving as pallbearers. The family will receive friends on Wednesday, September 19, 2018 from 4-8pm then again on Thursday from 1:00pm until the time of service. In lieu of flowers donations can be made to Grace Baptist Church: 3181 Walling Road Springfield, Tennessee 37172. These arrangements were entrusted to Springfield Memorial Gardens, Funeral Home and Cremation Center 4005 Memorial Blvd, Springfield, Tennessee 37172 615-384-5437 www.springfieldfh.com. Just wanted to share a memory of Cousin Marsha. Our family visited their home a few times before they built the new house. They had a tetherball in the backyard and we spent a lot of time knocking that ball around. She was three years younger than me but could give that ball a good whack. Rest well Martha and peace be with your family. Love and prayers to a beautiful family. Marsha was such a good person in so many many ways and was a delight to spend time with and hear her speak of her family, her faith and her latest project in their yard. Or, share her plans to decorate at the next upcoming holiday. She loved going to yard sales on Saturdays, not so much to add to her many collections, but to enjoy meeting and talking to new and old friends. And finding a special treasure was just a plus. Marsha had such an artistic side to her and could build a fountain in her garden and put the right flowers beside it that were perfect in their special place. Marsha loved simple things, but Donnie was famous for his beautiful gifts of jewelry that he gave her at their special times. She will be missed by so many of her friends that she spent special time with and by a family that loved her dearly. I could expect a call from Marsha when she saw her first humming bird of the season. She saw that as a sign from God that all was well. Marsha was a caretaker and God’s little creatures were at the top of her list. I met Marsha when she and Donnie needed me as a Realtor and Randy was just a baby and we have maintained a wonderful friendship throughout the years. If you ever met Marsha, you had a friend forever and “she was always on your side”.. She will be missed by so many of us who were fortunate enough to call her friend. Heaven has been blessed to add Marsha as an eternal resident. I was privileged to know Marsha all her life. However, the memories that I have of her mostly being with her for so many years at Grace Baptist Church . I was blessed to be her Sunday School Teacher during her teenage years. Marsha always had a smile and a kind word for everyone she met. After I moved to North Springfield Baptist hutch, I always enjoyed running into her , mostly at Kroger’s. She always had a smile and would bring up those teenage years. My thoughts. love and prayers go out to her family. Heaven has received a good woman. May your family find the peace in their hearts that they need to go on living without you, knowing that one fine day you will all be together again. You will be sadly missed by so many people. Sending prayers for God to feel your family and friends with the love you left behind from all the good memories that you all shared. RIP Marsha. To the Clinard Family, My love and prayers are with you during this time and know that Heaven has a new angel watching over all of us. I med Marsha while working in the Dept of Medicine at Vanderbilt and found her to be one of the nicest people as a colleague that I have ever known. When I think of her, I remember her smile and joyous heart. May God be your shoulder to lean on during this time and know that one day we will see her again. His loving arms will get you through some of the hard times, and his love will help you remember her and all the good times you had while her time here with you. What a blessing to have known such a wonderful person and know that there is “no more pain” for her. The Vanderbilt family we’re thinking of you with sympathy. At times like this, it’s hard to find the words that best convey. The many thoughts of sympathy our hearts would like to say, but may it somehow help to know that though our words are few, we’re thinking of you warmly now and share this loss with you. Your family is in our prayers for comfort and peace. Marsha holds a very special place in our hearts. We the Vanderbilt Revenue Cycle team will miss you dearly. Rest in peace. Marsha was one of my sweet cousins. I loved to visit with her when I visited Springfield. We played dolls together, and I got to sing with her when she visited us up here. What a LOVELY voice. This comes as a shock to us in Indiana, and, of course, makes me wish we had kept in better touch. My prayers are with her family.